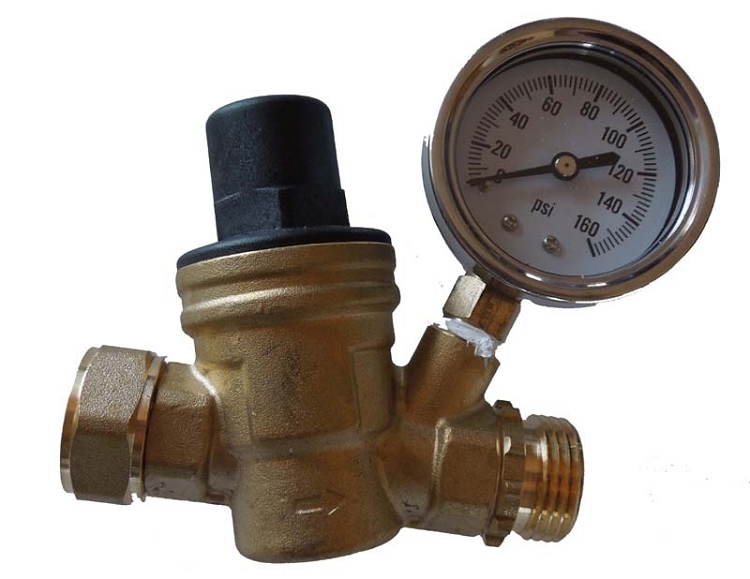 Adjustable Water Pressure Regulator & Gauge. Lead Free! Adjustment knob, makes it easy to precisely dial in the desired system pressure. Brass body make it's durable and long lasting. Perfect for hard to control pressure on irrigation systems and RV's. MAY BE LEFT UNDER PRESSURE! Maximum inlet pressure: 160 PSI. Maintains selected pressure for circuits totaling 5-250 GPH. Inlet: 3/4" Female Hose Thread Swivel. Outlet: 3/4" Male Hose Thread.